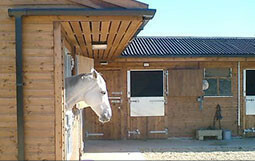 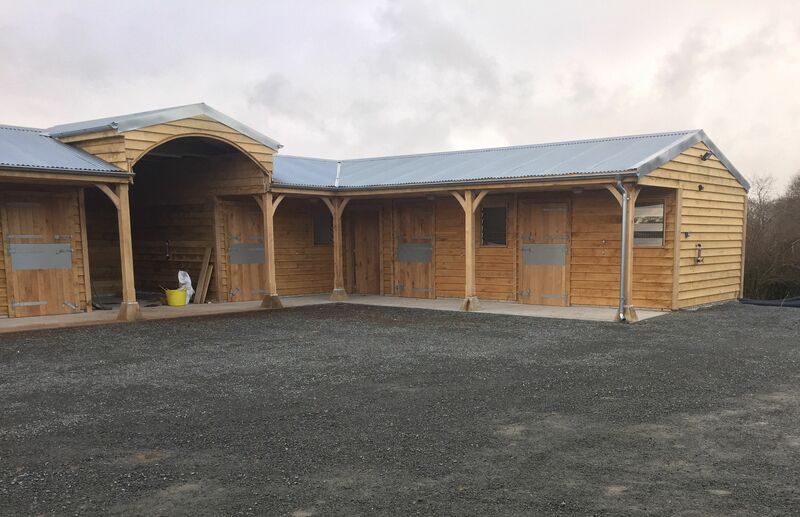 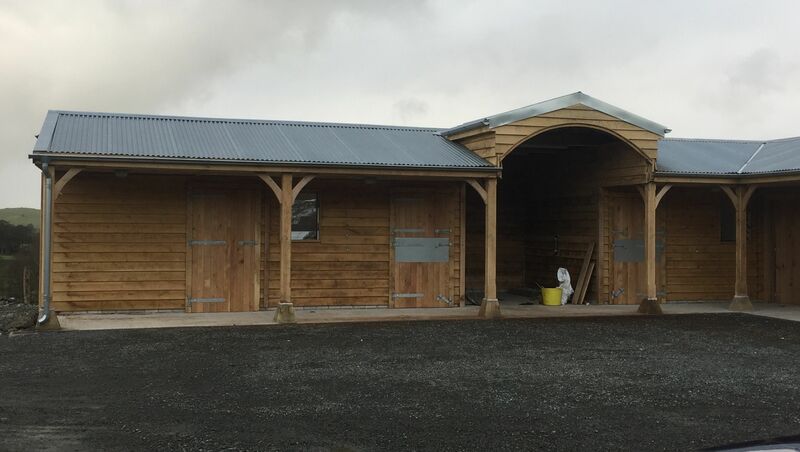 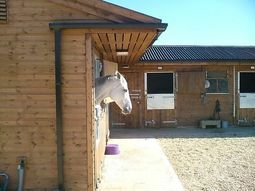 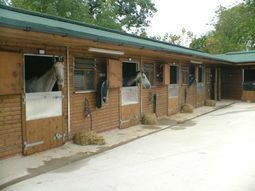 RJ Joinery designed and constructed this stable yard. 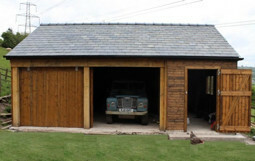 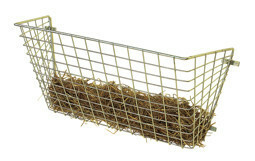 Built with a spacious tractor store, with a beautiful arched roof and a 6ft canopy. 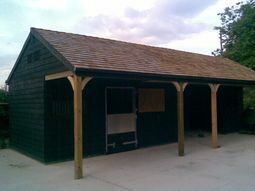 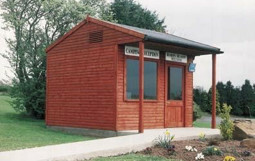 Built using oak post and gallow brackets with oak feather edge cladding treated with our solvent based Golden Brown Cuprinol preservative, and galvanised metal corrugated roof. 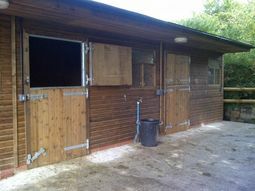 Finished with oak stable doors with extra metal protection on the bottom doors.